At the end of the day, let’s all admit that we drink coffee because we also partake in that powerful drug called caffeine. It is the most accessible drug in the world. Caffeine is intrinsic to coffee and there are people out there who have earned their PhDs on how coffee changed the world. It’s a valuable commodity, almost as important to world markets during the colonial era as tobacco. Coffee, which is derived from the production and processing of coffee beans, has been the underlying source of political and economic upheaval, and dare we say wars. The order of these cognitive abilities doesn’t matter; all are equally important for doing well in any given day of gaming. Spatial and temporal perception is that power you have within that governs your ability to see, perceive, and interact with objects in the external world. It’s a critical skill whether you’re trying to find your way on a long-drive to the post-office, or how you navigate to your classroom, or when you play an action-packed first-person shooting (FPS) video game. In regards to war gaming, you need to understand how models appear on an open space (a tabletop), and know how they move over time (turn-by-turn) and grasp the itching passing of the death clock, or whatever time-bomb you have set before you to determine the game’s end. Analytical processing is another crucial ability we must all possess. The more of if you have the faster you can determine your choices. It’s that part of our brains that crunches the numbers; the stats in defense or attack, and assessing the probabilities of dice rolling. 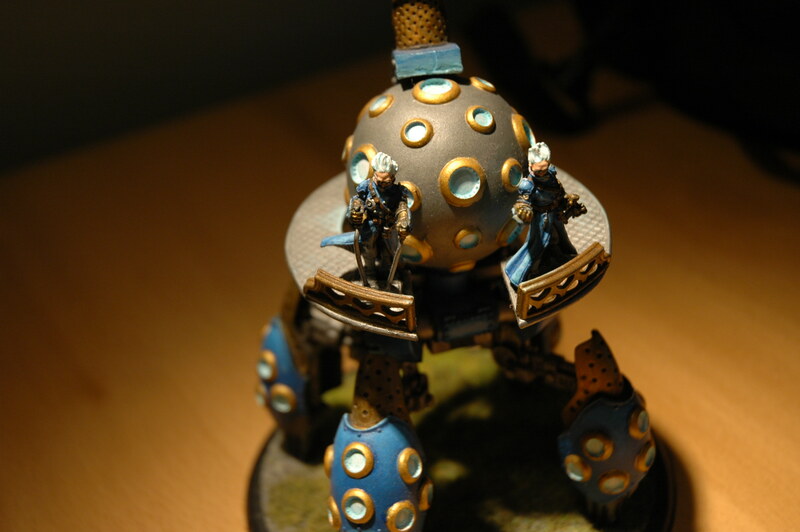 It helps you answer those hard to reach questions, such as: “do I boost now, or just buy more attacks with my focus?” A player who has strong analytical processing capability will make their moves faster, with less errors in judgment and be able to understand the synergistic capabilities of their army. We all need a good memory. Memory is defined at its core is the capacity to store and recall information. The importance of memory doesn’t need much explanation. A person with no memory, or poor memory, can’t function well in this world. If you can’t remember anything, it also means you can’t learn. In war gaming, poor memory is obviously a handicap. Not only can’t you learn how your models and army function during a game, you don’t know the rules very well, and therefore you stumble around. The nail in the coffin is that you would have a hard time learning what your opponent’s army is capable of. Memory is a fundamental cognitive process that we all need to be independent in this world, let alone gaming. Hurry up! The winter guard or zap Sorcsha? Caffeine is consumed through several means. It’s in coffee, teas, sodas, and even bath soap. Caffeine is a stimulant drug and acts directly upon the human central nervous system (i.e., brain and spinal cord). It has the physiological effect of increasing alertness. In the United States, there are estimates that up to 90% of adults consume caffeine on a daily basis (in regards to our hobby, I have yet to meet anyone who has not partook in this powerful, but legalized drug). I won’t go into the chemical mechanism-of-action for caffeine (that’s wikipedia territory). Also, research is still ongoing to determine how caffeine affect us. For now, I’ll just summarize that, in general, studies have demonstrated that caffeine can improve or enhance athletic performance. Caffeine can stimulate the metabolic process in the body, increases fat (the version we store in our bodies) utilization and decrease the use of glycogen (the breakdown of muscle-stored energy). Taken together, this means that caffeine can help breakdown the fats that make us overweight, while maintaining muscle mass (which is awesome for weight lifters or athletes needing to drop weight without sacrificing strength, e.g., wrestlers). Another important to make about caffeine is that because it increases fat breakdown without using up glycogen stores, it increases endurance, e.g., such as a marathon runner trying to finish the race, or simply a marathon gaming session where you’re standing for a long, long time. Those tiring feet can truly mess up your game. Speaking of pain, caffeine may also reduce the perception of pain, which is key to playing a game that requires memory and analytical processing (see link). For gamers, this means we can drink caffeine to lose weight? Perhaps not. To have a significant affect on durable weight loss, caffeine needs to be drunk in large doses over a prolonged period of time, and must be accompanied by proper exercise and a good diet. A total fail for most of us. How Does Caffeine Help Gamers? As noted above, caffeine increases alertness, endurance, and reduces pain. These are all great attributes for the gamer who wishes to participate in an epic battle for supremacy over their opponent. It must be said that while standing at a table isn’t considered by the general public to be a feat of athletic strength, it is a test of physical endurance and personal mental constitution. Ask anyone who has played competitively and has had to stand without sitting down for hours on end: those dice pips just don’t add up right when it’s 2am and you’re fading fast. On the physical side, caffeine therefore helps maintain your bodies ability to continue the fight. Without alertness and the incoming sensation that there are pins-and-needles in your feet, you’re most likely going to fall apart, mentally. Drink that coffee; sip that Pepsi Max soda. When trying to dig for the root effect of caffeine on cognitive skills that would aid in playing a tabletop game, I discovered that at least in humans, the story is a bit complicated. 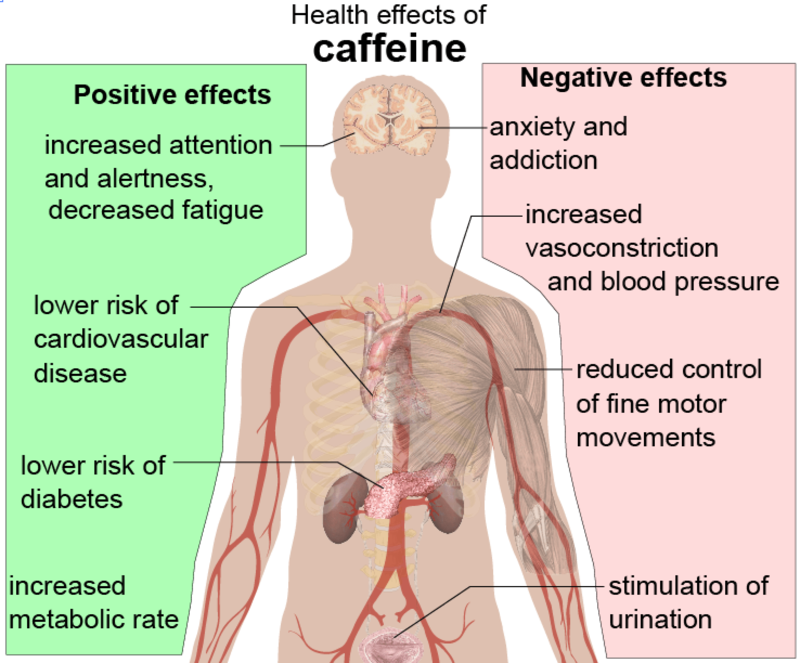 In terms of working Spatial and Temporal perception (see point#1 above), it is important to know that all of the effects of caffeine are cumulative and additive. For example, obviously, if you are alert then you’ll have better spatial and temporal perception than compared with someone who is drowsy (see link). There are studies that have demonstrated that caffeine consumption in humans improves the working parts of the brain necessary for performing spatial tasks, i.e., puzzles or playing a game where they have to follow a moving dot with their eyes. Thus, it may not be that caffeine directly acts on brain areas that help with spatial and temporal working tasks, i.e., a tabletop gaming session, but rather caffeine improves those other things like attention and alertness that feed into spatial working skill engagement. 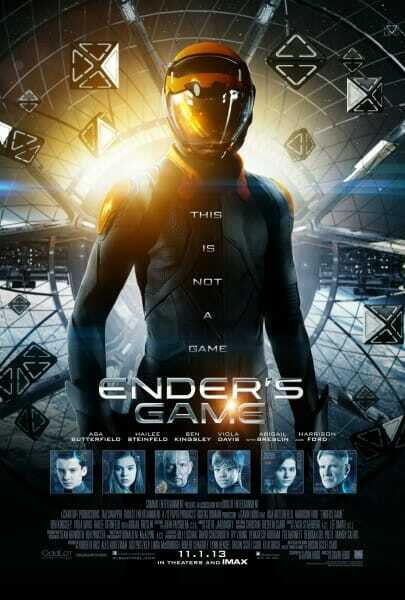 Ender had to navigate three-dimensional space…. he had that special kind of mental magic. Better than the rest. When it comes to analytical processing (point #2), caffeine also appears to help. Analytical processing requires a strong attention to details and the mental calculations that go along with those pieces of information. In several studies (here’s two; see link or link2), caffeine has shown to have a positive effect on various mental domains of attention. Because of some of these benefits, it is not surprising that many other studies demonstrate that caffeine reduces response times and error rates in simple reaction task; in our case, we might these tasks similar to those that govern decision making when we see our opponent making a move that we didn’t expect and we have to react quickly (timer is ticking) in response. Have you ever noticed how quickly some people are distracted from their game when a non-relevant conversation starts up? It’s almost as if this person has a problem focusing on their game, and must respond to this new “stimulating” conservation (e.g., coffee talk). This pseudo-attention deficit is a cognitive issue that can adversely distract from doing well during a gaming session. It breaks that “flow” or “train of thought” that is so crucial for us. That is the analytical process at work, which should be so easily broken. Caffeine is weird in this regard to attention (underlying analytical thinking), because it both helps and breaks attention. Too much caffeine can make someone jittery. A good amount of caffeine, however, can strengthen this “chain” to your memory and other mental domains that help you come to a conclusion during your journey in that train of thought (interesting reference). Memory is interdependent on so many neuronal processes, that it is difficult to pinpoint how it works. Neuroscientists have been studying the process of memory for more than one hundred years; and the issue of human memory and the idea of a “distinct mind” has intrigued philosophers since antiquity (e.g., written works of Greek philosophers). Because of the complexity of memory, caffeine may operate on memory systems in multiple ways. Caffeine can either work directly by modifying the way neurons function (increasing their electrical firing capacity), or indirectly by changing the way the entire circuit function (allowing synapses to form more readily or strongly). Note that studies exist that suggest that caffeine may function in context-dependent memory. 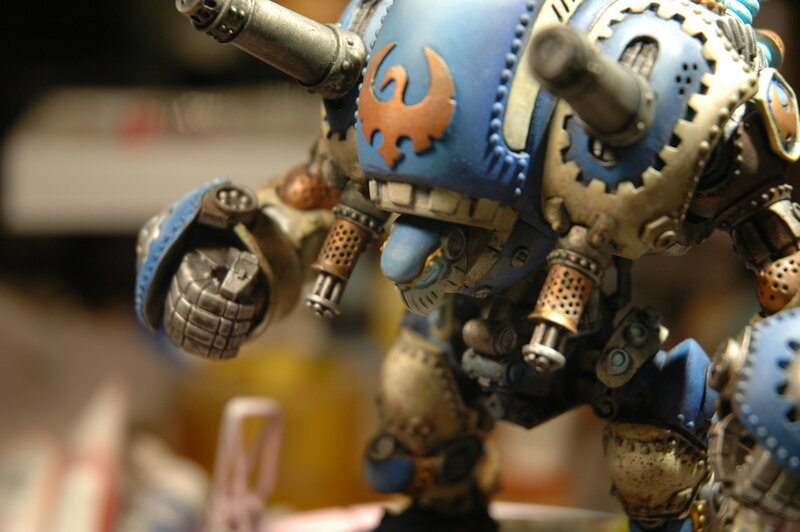 Long-story short, if you are practicing a game of warmachine and trying to learn a new strategy or tactic and you are drinking coffee, then remember to also drink coffee when you’re playing in that tournament. It’s important, because your mind has used the context of the coffee (i.e., the caffeine) to store that practiced information. To completely recall your learning experience to perform optimally in a tournament, you should be sure that the contextual clues are available–drink that coffee again during the game. I drink coffee regularly. I love the taste, the warmth, and the buzzy feeling. Coffee also feeds into that rush that precedes the slow, methodical momentum that builds after that deployment phase. Although there are benefits to caffeine in any mental task, and we know a lot about how it can affect brain function during specific cognitive demands, drugs affect people differently; hence, with caffeine consumption your mileage may vary (YMMV). Previous Post Paint Brush Licking: Is it Really Dangerous?